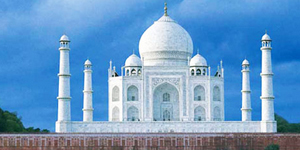 The city of Agra is famous for its exceptional monuments and buildings. Tourists and history freaks have endless love for the city.However, people with religious inclination will never feel deprived as there are has several Religious Places in Agra. Numerous tombs, stones and graveyards dedicated to well known religious leaders are conspicuous with their presence in Agra. 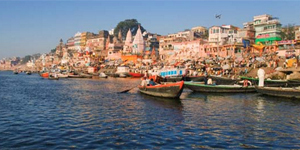 Oldest Living City on Earth - isn't this sufficient to arouse your desire to travel to Varanasi !! Just imagine a city as old as Babylon still bustling with life and activity without any interruption in between. Yes this is Varanasi. Walk along the ghats of the rive Ganges teeming with the austere clad yogis sitting on the edges, See the faithful cleanse themselves of their sins with a holy dip, temples, aarti - here you find soul of India. A little away is Sarnath where lord Buddha preached his sermon.